As a cord blood provider, San Diego Blood Bank collaborates with several San Diego and Southern California hospitals to collect umbilical cord blood after the birth of a healthy, full-term baby. Cord blood is processed and stored at SDBB and, eventually, infused into patients needing lifesaving bone marrow transplants. 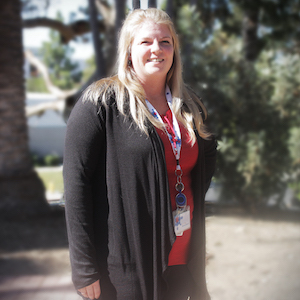 Kirstin Peters is one of the team members responsible for running the Cord Blood Collection Program here at SDBB. To learn more about the program, we asked her a few questions. Can you tell us what you do as part of the Cord Blood Collection Program at SDBB? As a Cord Blood Collection Coordinator II, my job encompasses myriad responsibilities that range from creating the kits used for our collections to the final listing of our products on a national transplant registry. I have a hand in the recruitment of donor mothers by speaking at hospital tours, manning booths at different events around town and encouraging prenatal educators to inform their patients about our program. I educate, train and update the hospital staff on our collection procedures and statistics as well as perform donor screening/eligibility follow up. Part of my responsibilities include reviewing each product’s batch record for completeness and data entry onto the registry run by the National Marrow Donor Program (NMDP). Some of our collection staff actually prepare and ship the products for infusion as well. When we say ‘cord blood donation,’ what exactly are we talking about? Umbilical Cord blood donation occurs when a pregnant mother makes an informed decision to donate the blood remaining in the placenta and umbilical cord after she delivers and her baby has been separated from the umbilical cord. This blood contains lifesaving stem cells that can be used to treat patients suffering from serious diseases/disorders. This is blood that the hospital would normally discard as biohazardous waste if the mother has not already made plans to store the blood through a private cord blood storage company or keep for her own use. This might be a complex question, but can you tell us why cord blood cells are important? What are these donations used for? Who do they help and how? The lifesaving stem cells found in umbilical cord blood can be used to treat patients with serious health problems, such as leukemia, lymphoma or aplastic anemia. The stem cell products are made available for patient treatment through a public registry run by the National Marrow Donor Program. They can be used as part of the treatment for all age groups and for myriad diseases/disorders. If a mother-to-be or a family is interested in donating cord blood, how do they go about pursuing that? They can visit our website which has instructions for how they can donate.